By Broithe, November 17, 2016 in What's On? As mentioned elsewhere, the Sleaford Model Railway Show occurs on Saturday, June 3rd, 2017. ..and I need to check that you are still under adequate supervision..
As mentioned on the Bantry thread, I made it here today. About midnight last night, I noticed that it was already June and decided to see which Sunday this event was on - imagine my surprise to see that it was actually a Saturday - and today! So, I headed East this morning, having not been past Nottingham since the early nineties. It is my habit, from motorcycling days, to venture off with just a map in my head. Halfway there, I suddenly had doubts about whether i was going to Stamford or Sleaford. I resolved that it was probably Sleaford and, with the help of the clear skies, I continued on. I needed the Sun, as there weren't many relevant signs, I found. It was fairly posh, but the security let me in. The exhibition, especially considering that it was out in the depths of Yokelsville, was very good. Everything was to a high standard, including the refreshment facilities. There were some very nice scenes. And, of course, there was Bantry. I like the look of the engine in the fourth picture down, any info regarding it, both model and prototype? Yes me too. 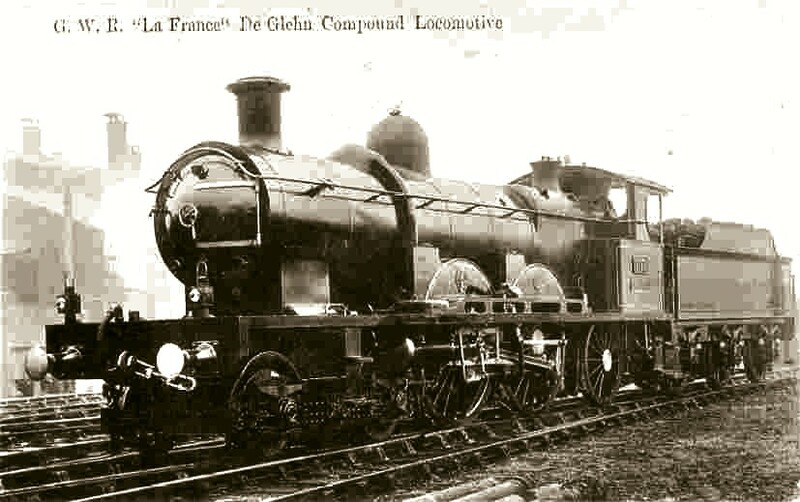 The 2-6-2T. Any more info or photos of the model? I think it was a one-off based on Woolwich parts? The rolling stock is mostly Mike 84C's - he'll be along in a bit, I'm sure. Right the details I have on the loco are this:- she was No 850 and she was the only GSR Prairie that they had, there is photo in the GSR Loco book which turned up last week, it is reported that she wore the CIE Green livery up until she was scraped, that said the front cover of the GSR Locomotive book has a painting of her in the grey livery. She was the only one in her class (P1) Tractive Effort 17,700lbs, she was built in 1928 and withdrawn in 1955. The 1948 assessment said of her that she was quite powerful but needed a lot of repairs, but she could not be replaced. She worked manly over the DSER Section, also there was much unconfirmed speculation that she used up all the spare Woolwich components, but it was highly unlikely this was the case, as she would not have been able to run since she would have had an axle loading of over the maximum of 19 tons per axle for the DSER. From the details I have she was a marmite loco some people loved her and others didn't. She was supposed to be the first of three locos, but I guess that teething troubles which where reported from the crews halted the building of other members of the class. you can find more details about her on page 265 in the GSR locomotive book by colourpoint. She was plain grey from build date until about 1951, when she was repainted green for her last 4 years or so. The grey livery depicted on both front and rear covers of the book is incorrect in two significant ways. While the shade shown is more or less correct, the smokebox and chimney are shown black; no GSR engine was ever like that, and no CIE one either; all was grey. There's always an exception to every rule; a single Cork-based J15 was repainted in its normal grey as late as about 1960/1, but with a black smokebox. This was both unique and very short lived - the loco in question was withdrawn 18-24 months later. The other incorrect detail, despite an assertion as to its validity in the text also, was the numberplates, shown as black with red letters. Numberplates were also always grey, usually with numerals picked out in pale yellow, though sometimes just painted over and occasionally bare whitemetal as on 186 currently. Ooops - missed out this rather nice 0 Gauge chassis. That's actually the old original school, I think. The event itself was in a modern assembly hall-type place - very spacious, light and airy - ideal. What's that O gauge chassis for? Outstanding craftsmanship. I'm afraid that I don't know, the chap who was demonstrating his skills was deep in conversation every time I went past. He was immediately on the left as you entered the hall, if Mike has a means of finding out from him? Thanks Jim, your pictures are rather good and make our small very local exhibition look rather professional! Pity there were not vast crowds pouring in from Sleaford but maybe next year! Our Bantry in build looked better than I expected and there was a lot of interest in the layout and it surprised me how many people said they had visited Bantry and West Cork! Nelson and David, the 2-6-2t is 850 the solitary one of its class built for the Dublin Bray commuter service. My kit bash of it is in the latest New Irish Lines; subscribe NOW! the magazine is in very short supply!! The crowd may not have been over-numerous, but one or two of them were reasonably vast. If it is in the same place next year, it might be worth attempting an approach from the north - the traffic in the town was solid, and the side roads on the way in from Grantham only had nameplates on the outgoing side, so I missed the sneaky way in, although I might remember where it is. Also, if you could put a cone in my parking space, I do like to leave it in the shade - ta. Feel free to pinch any pictures that may be of use. Prototype would have been a P1 Class (GSR 850) originally intended to run on the CBSCR but I'm not sure if it ever did? 850 seems to have been intended as a prototype for a light modern go almost anywhere passenger/mixed traffic tank. The Wall Street Crash put paid to building further new locos for 6 years when the GSR designed a passenger version of the "Improved" J15 with the 5 670 class 0-6-2Ts. 850 managed to briefly escape Amiens St-Greystones and was tried on Waterford-Limerick trains during the 1930s. 850 seems to have been intended as a prototype for a light modern go almost anywhere passenger/mixed traffic tank. Exactly, that was indeed the plan. In another attempt at modernisation / standardisation, five 820 class were planned - tank versions of the 800s, and huge brutes at that. Jhb171Seniorx2 did the design which I think I gave to Nephew some time ago; must enquire. They were 4.6.2 tank engines with a quite considerable coal and water capacity. Needless to say, financial constraints didn't allow them off the drawing board. They would have made a fine sight, though. 850 never went anywhere near West Cork, unfortunately. It's only NOW that I'm seeing the photos of Bantry at Sleaford, and some of the locos etc there. Fantastic stuff and as others have said, an absolute gem in the making. Great stuff - keep it coming!! Thanks for all the praise and pats on the back guys. All I can say is watch this space! 'cos I'm sure there is more to follow. This may be of some interest, in particular the photo of Bantry station. So they couldn't even get an exhibition hall without a leaky roof!